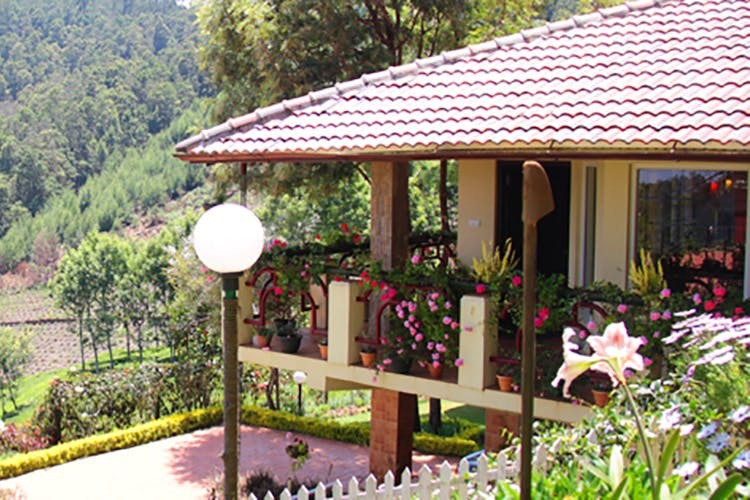 Plan a weekend getaway and check into this quaint cottage that’s tucked away in the hilly Kotagiri. Surround by greenery, tea gardens and rather pleasant weather, Cassiopeia is the perfect place for your summer break. Tucked away deep in the heart of Kotagiri, Cassiopeia is a quite cottage that’s devoid of the hustle and bustle of the city. Staying in this quaint cottage has its perks namely the lush green surroundings — it overlooks a valley of acacias and tea gardens. And since it’s far from the city, what you get is a very blissful and serene vibe. In the evenings, the cottage people arrange a bonfire for you to sit around and sip a cup of hot tea or simply star gaze. They also do picnic lunches and outdoor meal on request as well. If you’re an outdoorsy person or not, there’s a few spots that you can see, Instagram, and look around during your stay here. The Kodanad view point is a must visit — sunrise and a breathtaking view are what awaits you. Catherine Falls, a double-cascaded waterfall, is perhaps another place that you can visit. While getting to the actual falls might require you to trek through tricky terrains, the view is undoubtedly fantastic. The Dolphin’s Nose is the viewpoint the most tourists take to see the entire waterfall is all its glory. You can also request for a trek to the nearby Rangasamy Hills, although they only do it in groups of 10 or more.